Are you a newbie? New to the server? Read the article below to understand the features of Saga FlyFF in-game! 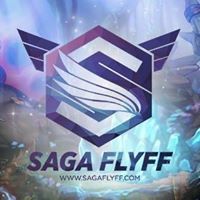 Saga FlyFF offers tons of new systems for players all over the world. The rates are as follows: Exp: 5,000 | Drop: 2,5000 | Penya: 3,500. Here are some of the server information that you should know! And introducing the WORLD BOSSES that drops Boxes of Red Chip Bags and Red Chip Bags! There are a lot more in-game that you need see for yourself! So come and play with us now!